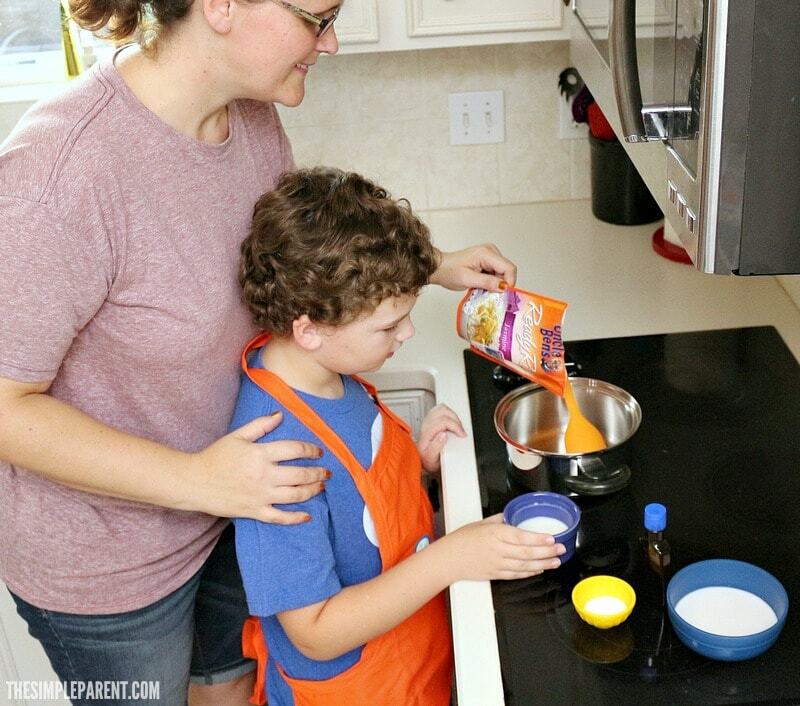 Home » recipes » Make Easy Rice Pudding with Your Kids & Ben’s Beginners! 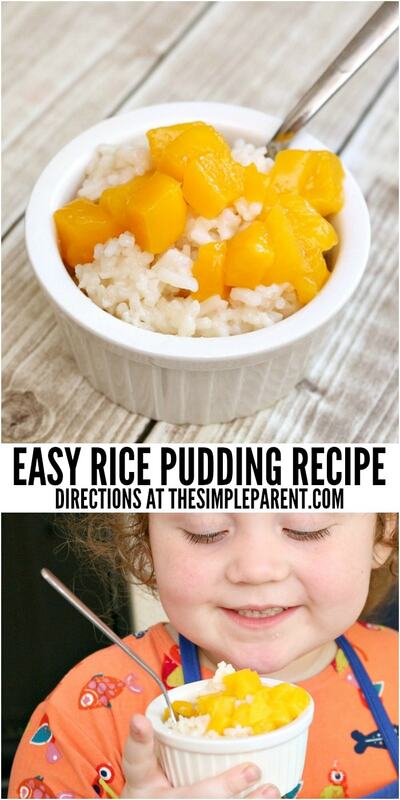 Make Easy Rice Pudding with Your Kids & Ben’s Beginners! We had a great time learning to make easy rice pudding thanks to our partnership with UNCLE BEN’S® and the BEN’S BEGINNERS™ program! 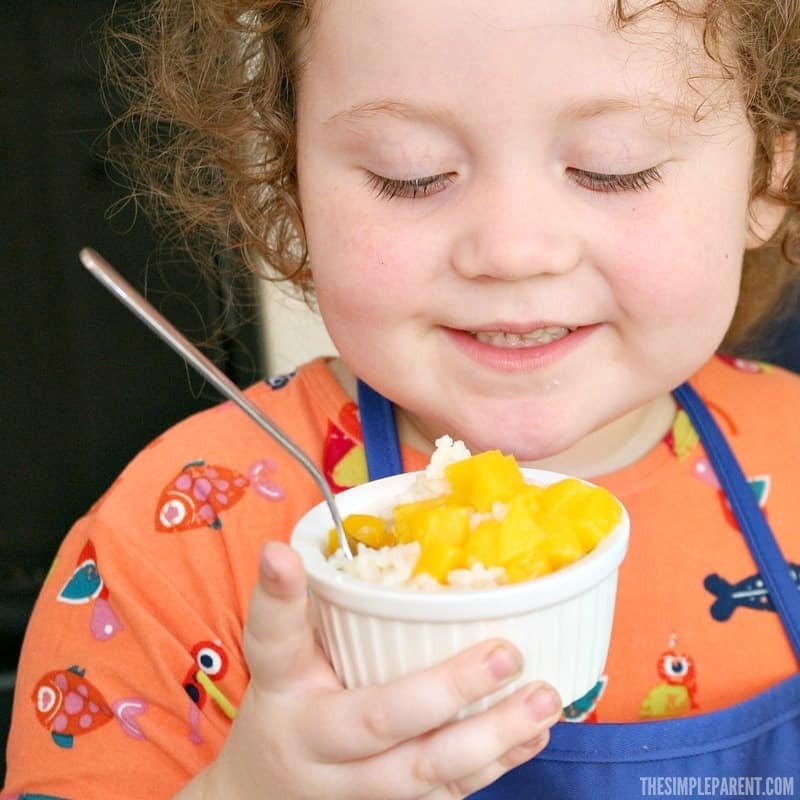 Check out our easy coconut rice pudding and how simple it was to get the kids in the kitchen with me! I’ve mentioned before and it’s still true! Fall is a busy season for our family and I know we’re not alone. Between school activities, sports practice, and fun celebrations with friends and family, life is pretty busy! That’s why it’s important that we have tons of simple recipes to fall back on. It helps us enjoy meals together and sometimes even dessert! Carrigan got my sweet tooth so she’s always willing to make easy rice pudding! She’s all about making desserts for her family! Sometimes even Weston can’t resist getting involved! With Grambo living with us, it’s often a family affair! It’s wonderful! It’s a great way to spend time together and make some great memories. We end up with something great to eat! I’d say it’s a mom win for sure! 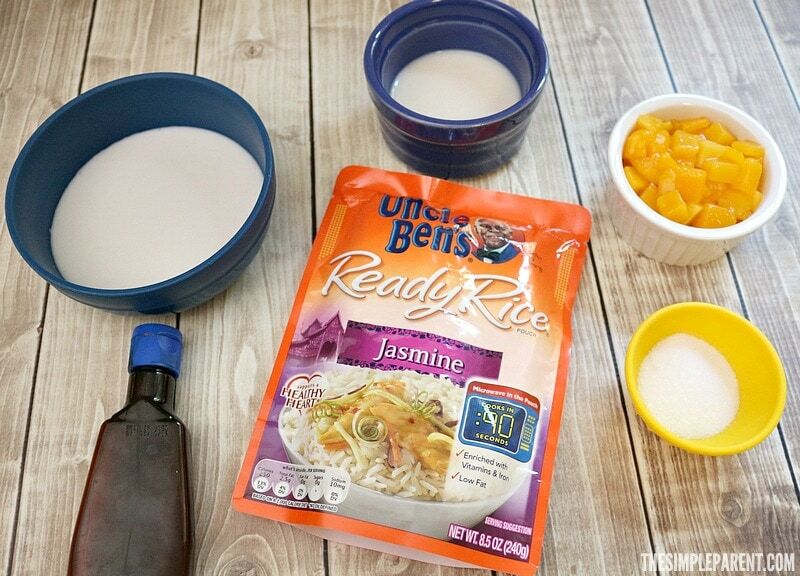 Uncle Ben’s sent us a variety of UNCLE BEN’S® READY RICE® to use together in the kitchen. Ready Rice comes in a wide variety of flavors which makes it great for almost any dinner (or dessert) idea you can dream up! 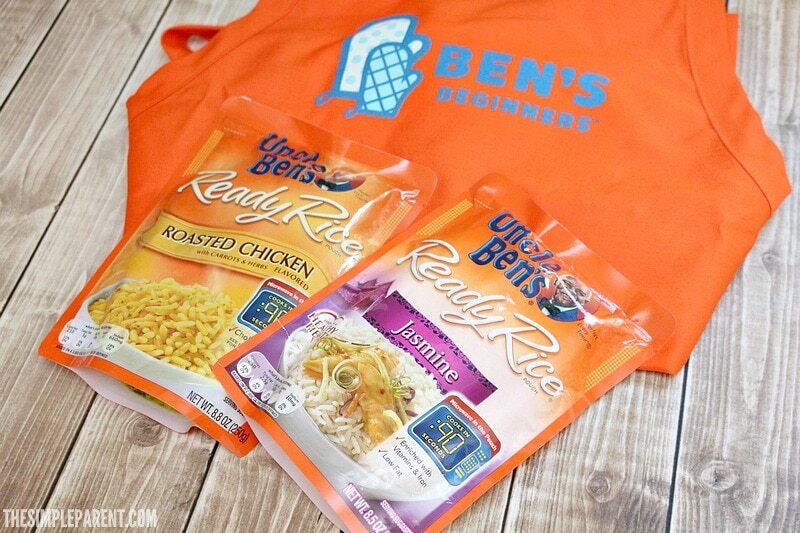 Uncle Ben’s Ready Rice Roasted Chicken Flavored is a staple in my pantry! It makes a great side dish when you need something quick! Carrigan and I were excited to try the Ready Rice Jasmine rice. Jasmine rice is one of my favorites! 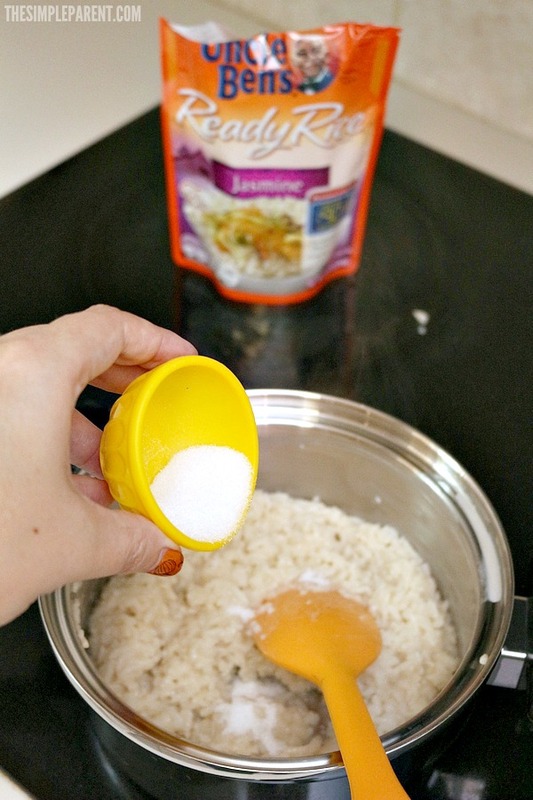 Check out how it works great for this easy coconut rice pudding recipe! Our coconut milk rice pudding has a short list of ingredients and really only takes about 8 minutes or so to make! This recipe makes either (2) 1 cup servings or (4) 1/2 cup servings, depending on what you’re needing it for! In a small saucepan, mix the rice, coconut milk, dairy/almond milk, and vanilla together. Heat over medium heat, stirring often, until the liquid begins to be thicker and creamier. This usually takes 4-5 minutes for us. Remove from heat and mix in sugar. Put servings in individual bowls and top with fruit. This rice pudding can be served warm or cold which makes it versatile! The kids helped with almost every step that didn’t include heat! So they can almost make this entire recipe on their own! We had fun making this easy coconut rice pudding! If you need to make additional servings, you can just double up on the ingredient list so you have plenty to share with the family. You can use this recipe almost anytime too because it’s also a great leftover rice pudding recipe! 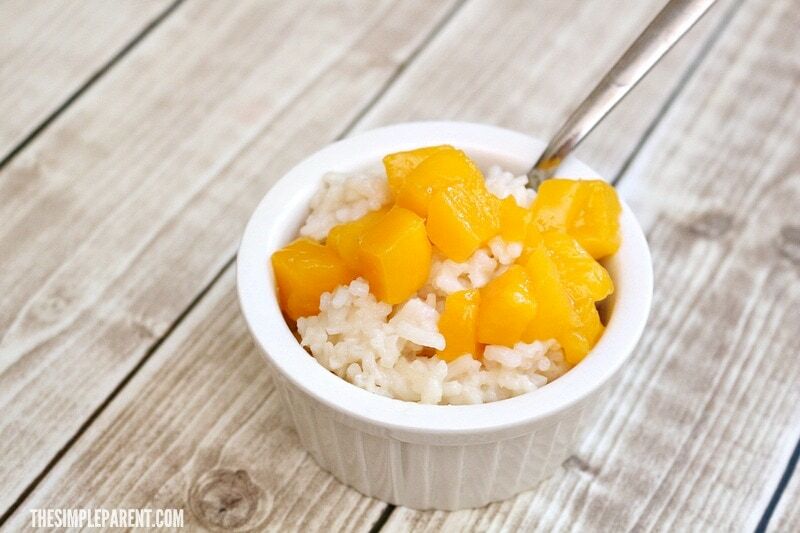 Don’t let your leftover rice go to waste! My family usually eats all the rice, but just in case you happen to have some leftover! I love hanging out in the kitchen with my kids because we always have fun together. It’s also a great way to help them develop skills that they’ll use for their entire lives! While learning how to make meals for the family, they also get more experience with concepts like reading and math! Carrigan loves using measuring cups! 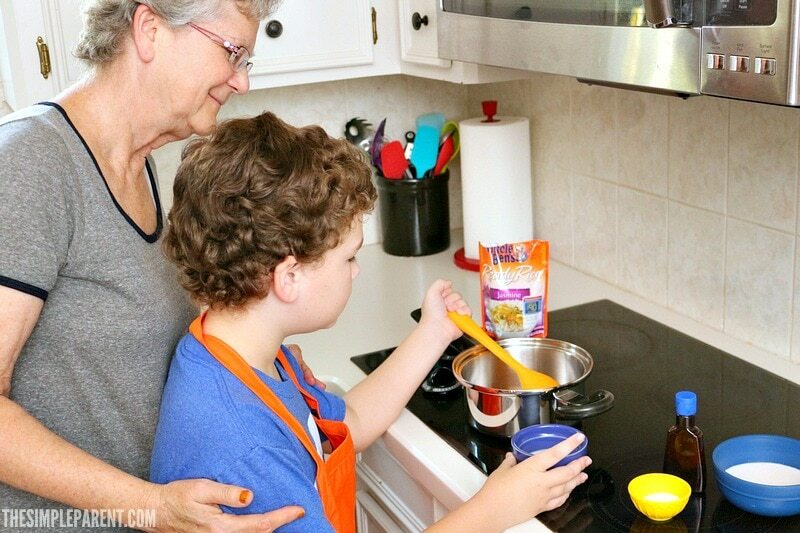 The BEN’S BEGINNERS™ program is all about families cooking together while also helping kids learn to read and write. The UNCLE BEN’S BEN’S BEGINNERS™ program has donated $715,000 to children and schools across the country and has motivated thousands of families to get cooking together! From now through October 9, 2017, families with kids in Kindergarten through 8th grade can submit a photo of their family preparing a rice-based dish together using #BensBeginners to enter the BEN’S BEGINNERS™ Cooking Contest! Everyone who enters will have the chance to win one of five Grand Prize packages, which include $15,000 cash, a $30,000 cafeteria makeover for their child’s school and a hometown celebration! Visit unclebens.com to enter for your chance to win! Good luck!